20th Century Fox has released a new featurette for the Queen biopic “Bohemian Rhapsody” with the clip discussing how actor Rami Malek got into the role of playing Queen’s legendary front man Freddie Mercury. The film opens in cinemas on November 2nd. The film traces the meteoric rise of the band through their iconic songs and revolutionary sound, their near-implosion as Mercury’s lifestyle spirals out of control, and their triumphant reunion on the eve of Live Aid where Mercury leads the band in one of the greatest performances in the history of rock music. 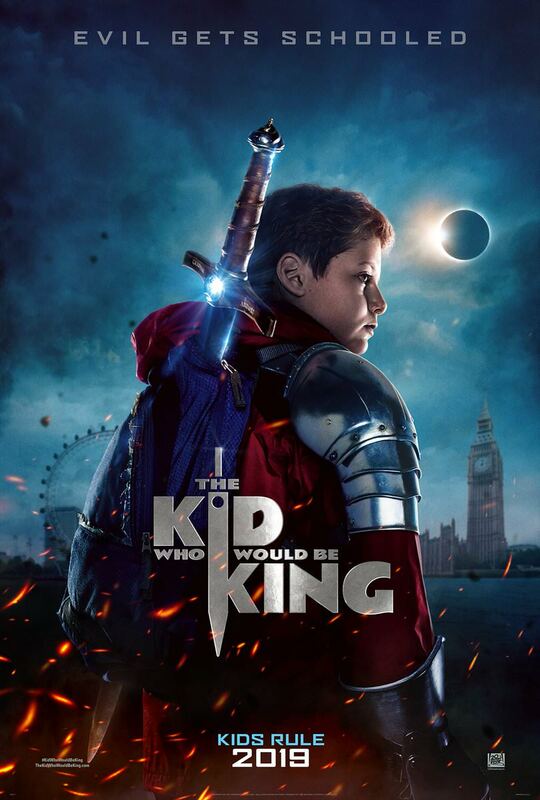 20th Century Fox has premiered the first official poster for “Attack the Block” director Joe Cornish’s new fantasy adventure film “The Kid Who Would be King” starring Louis Serkis, Tom Taylor, Dean Chaumoo, Rhianna Doris, Angus Imrie, Sir Patrick Stewart and Rebecca Ferguson. The film is scheduled to hit the theaters on March 1st next year. The story follows a twelve-year-old British schoolboy (Serkis) whose everyday problems are dwarfed by his discovery of the mythical sword Excalibur. Now, with the most powerful sword in history in the hands of the most powerless schoolboy in Britain, an epic adventure begins. Stewart plays Merlin and Ferguson is Morgana Le Fay.